As little as 1 minute of walking up to 15 minutes of walking. This depends on driving conditions, as well as your groups needs. This canyon. Wanting to experience one of the most unique experiences you can have while visiting Zion? 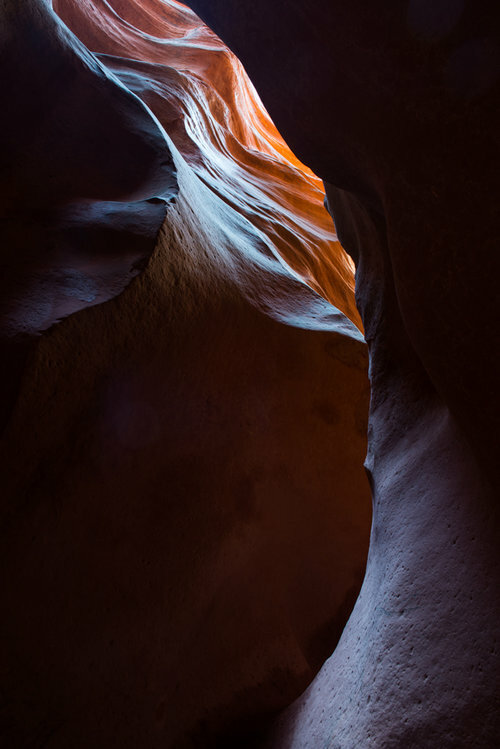 Having a slot canyon, that is this photogenic, with zero hiking involved, with zero crowds is un-heard of. It doesn't exist... except here. 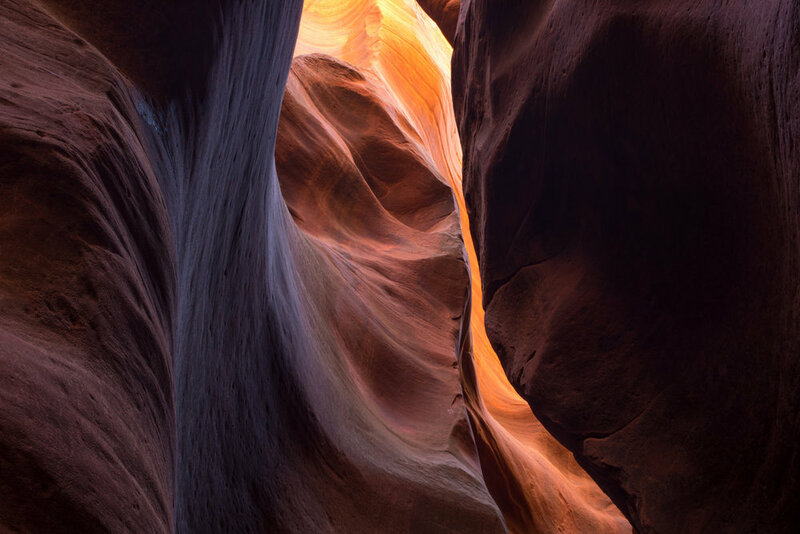 On the half-day tour of our secret slot canyon we will enjoy a private experience, having semi-exclusive access to one of the most beautiful slot canyons in the Southwest without having to trudge through miles of deep sand to enjoy it's splendor or without having to navigate through the crowds of people which always exist in Antelope Canyon. Although this corridor of canyon is short, perhaps only 50 yards long, it packs a punch. 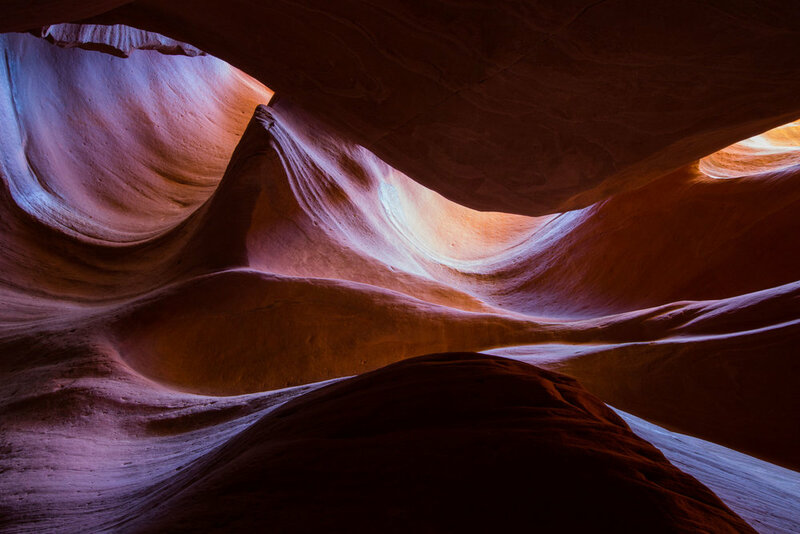 With it's magnificent colors and textures, this canyon is sure to produce high-level images and an un-forgettable experience in an intimate, iconic Southwest slot canyon without the crowds. As a bonus, this deep narrow canyon is the best possible refuge from the intense heat which can exist from April through September. On our half-day tour of this canyon, we may experience some water if we have had recent rain storms. This water is typically between ankle and knee deep. For cooler months of the year, we recommend renting neoprene socks in order to keep our feet warm. - Expect to spend approximately 2 hours photographing in this canyon. - Meeting location is Zion Adventure Company in Springdale, Utah where we will load into our 4x4 vehicle and make the one hour commute to our canyon. - Tours last approximately 4 hours with driving and 2 hours of shooting. - Typically only 100 yards of walking involved to get to the canyon. During extended dry periods (usually June - Mid-July we may have up to 15 minutes of hiking each way to get to the canyon. - Meeting time is 10AM.